I produce a range of collars and leads in bridle leather, round leather or rein web and a selection of my standard designs of collars and leads can be ordered via the online shop section of the website. I can also make dog harness and other items to order. 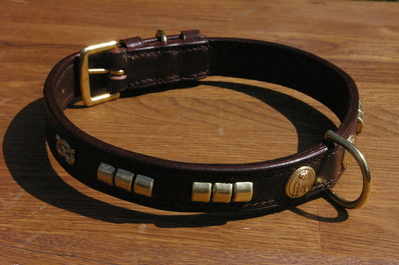 For collars, the measurements shown are from the buckle turn to the centre hole on the collar. 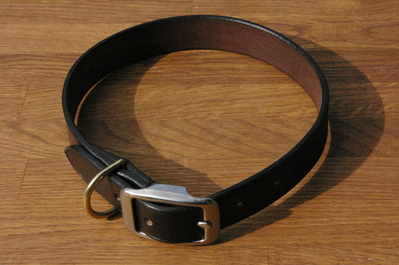 When providing your dogâ€™s measurements for a collar, please state this length, not the overall length of the collar. Leads are measured from the turn at the clip to the end of the handle. All lead lengths shown are approximate. Slip collars - remember that they must fit over the dogâ€™s head!